The FEI Bureau has today allocated host cities for a number of major FEI events over the next three years, including the Furusiyya FEI Nations Cup™ Jumping Final for 2015, the Longines FEI World Cup™ Jumping and FEI World Cup™ Dressage Finals in 2017, and European championships from 2015-17. Barcelona (ESP) has been allocated the Furusiyya FEI Nations Cup™ Jumping Final 2015 for the third successive year. The Spanish city hosted the first Furusiyya Final in 2013 and will be staging the Final again in October this year. Omaha in the state of Nebraska (USA) will host the joint Longines FEI World Cup™ Jumping and FEI World Cup™ Dressage Finals in 2017, holding off strong challenges from Hong Kong (Jumping) and 's-Hertogenbosch (Dressage). The joint Finals will run from 27 March to 2 April 2017. The Swedish city of Gothenburg has won out in its joint-bid to host the FEI European Jumping, Dressage & Para-Equestrian Dressage, and Driving Championships in 2017 (22-27 August). Rotterdam (NED) was the other bidder for the European Jumping Championships 2017. The other big winner in today's allocation process was Strzegom (POL), which won out over Fontainebleau (FRA) in the bid to host the 2017 FEI European Eventing Championships. This is the first time that Strzegom has hosted the senior championships. "We have had some really fantastic bids for our major events," FEI Secretary General Ingmar De Vos said. "It's very exciting that Omaha, which has the full support of the local community and government, will be hosting both the Longines FEI World Cup Jumping and FEI World Cup Dressage Finals in 2017. And we are also very much looking forward to going to Gothenburg for the European Jumping, Dressage and Para-Dressage and Driving Championships in 2017, and to Strzegom for the European Eventing Championships 2017. "We are also thrilled to have Barcelona hosting the Furusiyya FEI Nations Cup Jumping Final for the third year in a row. It's become the home of the Furusiyya Final and we know the Organising Committee will do a fabulous job. "The FEI always welcomes new venues for its Championships and Finals and it's good to see some different cities included in today's allocations." 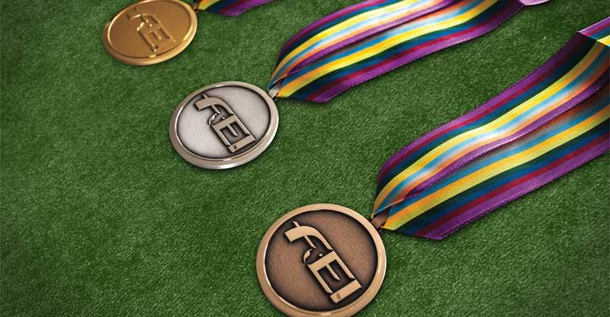 The allocations come on the back of yesterday's announcement that the FEI flagship event, the FEI World Equestrian Games™ in 2018 will take place in Canada.